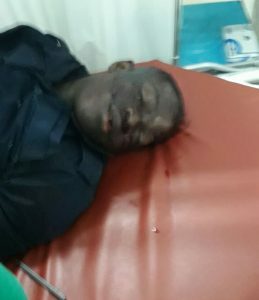 New evidence has surfaced overnight showing that a policeman fired almost all of the bullets in a revolver on his girlfriend, who is a police constable, before killing himself with the sixth bullet. 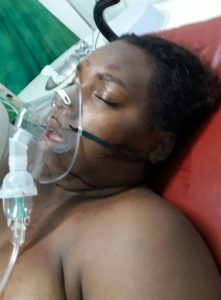 Investigators said at about 9 O’clock Tuesday night at the La Grange Police Station, West Bank Demerara 20-year Clement Cockfield, who was a member of the Guyana Police Force’s Anti-Crime Unit, committed suicide after shooting Woman Constable, 21-year old Shanice Fraser several times. Police sources said Cockfield fired a total of five shots at Fraser before placing the gun to his head and discharging a round. He fell to the ground and was taken to a nearby hospital where he was pronounced. Police sources said Fraser’s shift ended at about 8 PM and she lodged a carbine (a type of firearm) with 15 rounds of ammunition and Cockfield uplifted one .38 special revolver and six bullets. Station, where he shot her twice before she rushed into the building and called out for help. Police sources said Cockfield, still armed with the revolver chased Fraser, shot her again twice to her chest. Despite efforts to restrain the enraged policeman, he went after her again and shot her. He then shot himself to his head. Cockfield’s body was taken to a nearby funeral parlour where an autopsy would be conducted. Fraser was rushed to the West Demerara Regional Hospital and then transferred to the Georgetown Public Hospital Corporation for intensive treatment and care.